I love love love the Charlotte Mason philosophy of education. It is whimsical, gentle, rich, and well-rounded, it truly is an educational feast. Personally, my favorite aspect is all of the outside time, nature walks, and nature studies-it calls to me as a Christian home educator. I mean what better way to teach your children science then letting them naturally explore, observe, and discover in all of God’s creation? If you would like to know more about a Charlotte Mason Education read here: What Is A Charlotte Mason Education. If you’re familiar with Charlotte Mason’s method or you’re curious to learn more about various curriculum then stay with me. I promise it is coming. If you’re new to the Charlotte Mason philosophy of education understand that it is not a curriculum. It is a philosophy of education that encompasses a whole child. 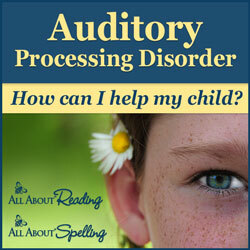 A method focusing on individual progress rather than the systematic conventional school approach. The Charlotte Mason method transforms education into art; to be done well it requires a certain finesse. If you’re considering implementing a Charlotte Mason Curriculum in the near future, I highly suggest reading her volumes which you can purchase below. Holistic Homeschooler is a participant in the Amazon Services LLC Associates Program, an associate advertising program designed to provide a means for Holistic Homeschooler to earn fees by linking to Amazon.com and associated sites, at no additional cost to you. Plus additional associate and or ambassador programs. For more information please read disclosure policy. The second half of this year I began forming my own lesson plans which I base off of Charlotte Mason’s methods. I’ve pored over countless books in the library, and began creating my own living book list for my children. (Read more here: what-is-a-living-book) I’ve been focusing on becoming well read and immersing myself in Mother Culture. Since I am a self-ascribed nature enthusiast I have been slowly changing our life style so that we can spend more time outside in nature. Which means scheduling, planning, and purchasing appropriate supplies that support nature-based learning. If you’re interested, you can view these items in my Amazon Shop. Yes Now for Charlotte Mason curriculum…. The first half of this year I was following Ambleside onlines booklist but after the new year, I began my own. Next fall, I plan to go with a different Charlotte Mason curriculum and I’ll mix it up as we go. Are you considering using a Charlotte Mason curriculum ? If so, which one? 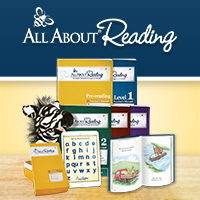 Just heard about Living Books Curriculum, at charlottemasonhomeschooling.com apparently they’ve been around for a while. Not sure which category they fit into, but don’t see them on the list. Thanks KB! Living books curriculum is second one down on the purely aligned list.